I saw these masks at the 100 yen shop. 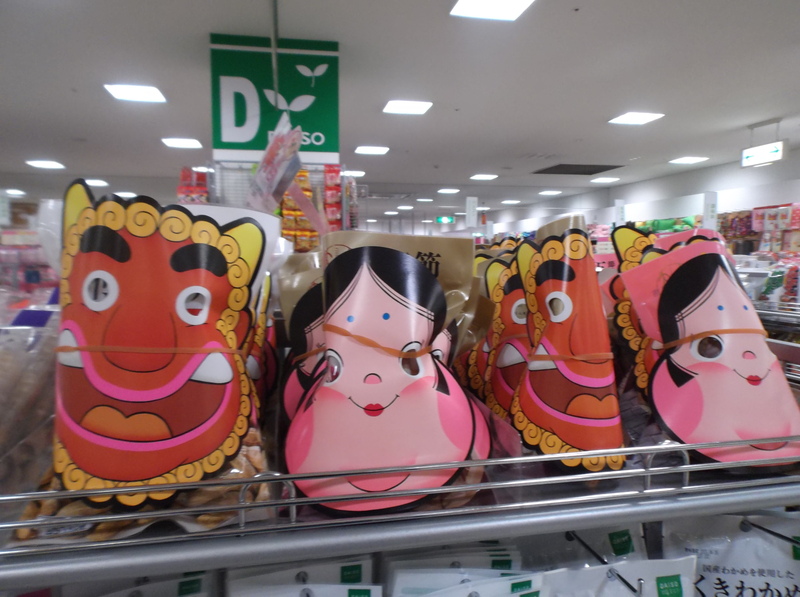 It’s common at this time of the year to find such masks being sold with soybeans or peanuts (either one is used) for Setsubun. However, I was wondering about the woman’s mask. That’s rather new to me. So I asked at Japanese class. It turns out that this sort of female face is called, “otafuku” お多福．According to my Japanese teachers, long ago this rather plump face was considered beautiful. But nowadays it is considered homely and plain. And does that face remind you of any childhood illnesses? Plump swollen cheeks? Mumps! 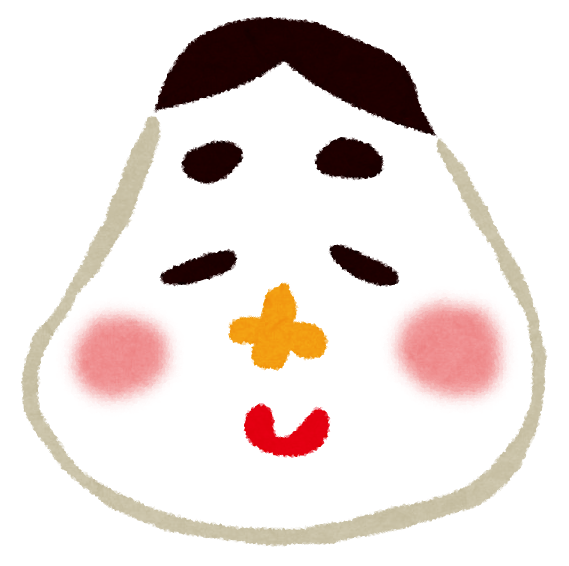 The words for mumps is Otafuku Kaze, due to its similarity to the otafuku face. Okay, more fun Setsubun stuff coming tomorrow! Interesting!! Nishida San always brings masks and dried soy beans to class if Setsubun falls on a class day. Do you do this with your kids? I don’t teach today, but when I do, I always bring an Oni mask and teach, “Out with Bad Luck! In with Good Luck!” The word “Oni” is difficult to translate into English and I feel the version “Devil” or “Demon” is too harsh, so I stick to “Bad Luck”.